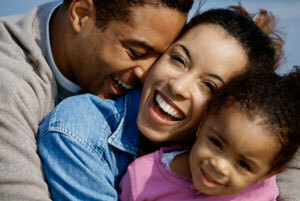 We offer a full range of dental services to keep your whole family smiling. Proper oral hygiene is the most effective means of preventing dental problems such as cavities and gum disease. Preventative care visit are essential to maintaining a healthy smile. Healthy patients should have their teeth cleaned and examined every six months in order to encourage healthy smiles and address oral health problems while they are smaller and simpler to correct. Your pain and anxiety are kept under control as you remain in a safe and light level of sedation throughout your dental procedure. Children’s Dentistry: Establishing good oral hygiene habits at a young age is important for empowering your child with a healthy smile as they grow up. Temporomandibular joint disorder can cause headaches, muscle pain and complications opening and closing your jaw. Thankfully we have non-surgical therapies that can help. Wisdom teeth sometimes cause pain, infection, or crowding of your other teeth. A simple exam is all that you need to find out whether or not your wisdom teeth need to be removed.